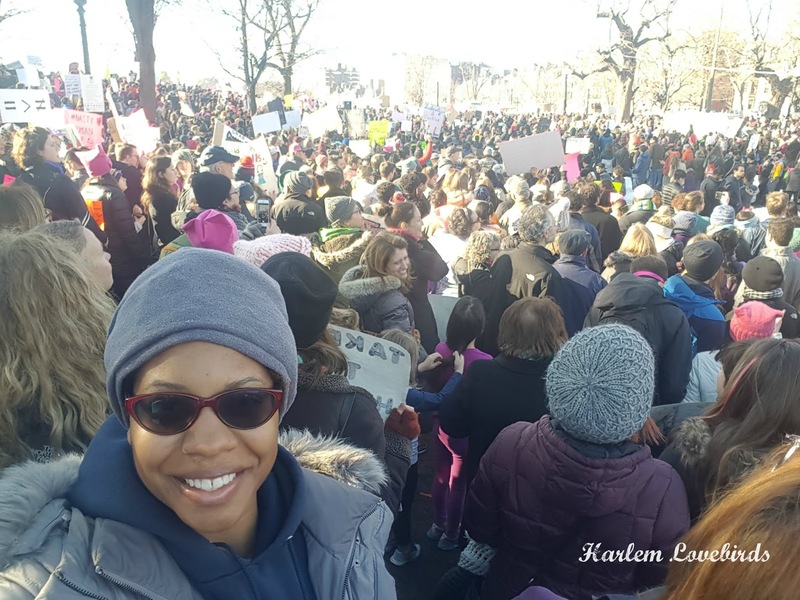 Harlem Lovebirds: I Attended the Women's March, Now What? 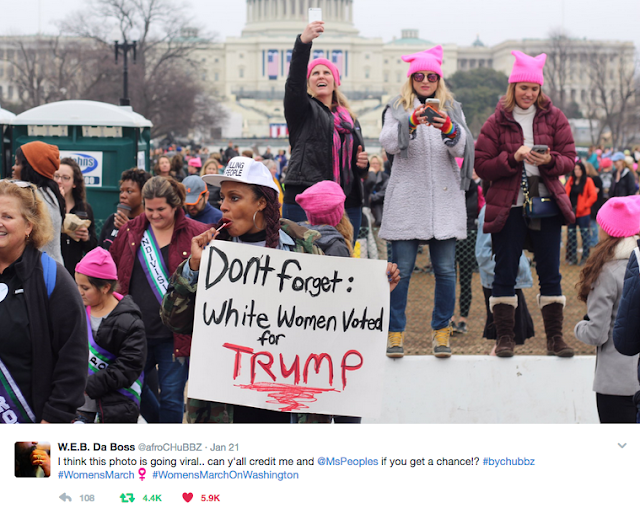 I Attended the Women's March, Now What? Unpacking my experience at the Boston Women's March has been complicated. When I first heard about the Women's March I thought it was only in D.C. and put it out of my mind thinking I wouldn't be able to attend. As I saw more of my friends outside of D.C. indicating they'd attend it made me look into it more. 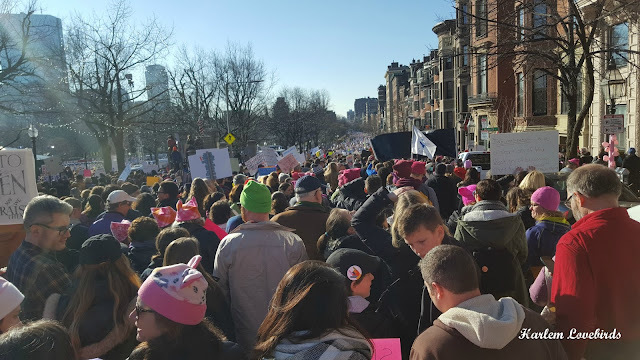 There were well publicized hiccups as it was getting organized, but once the organizing committee was solidified as well as the mission statement and sister marches were announced I decided to attend here in Boston. "This isn't a party, this is people's lives." “Why didn’t your sisters turn out for Hillary?” Wanda Sykes’ Daphne asks Lucy, their white colleague. “Well first, white women aren’t ‘sisters.’ We hate each other,” Lucy responds. 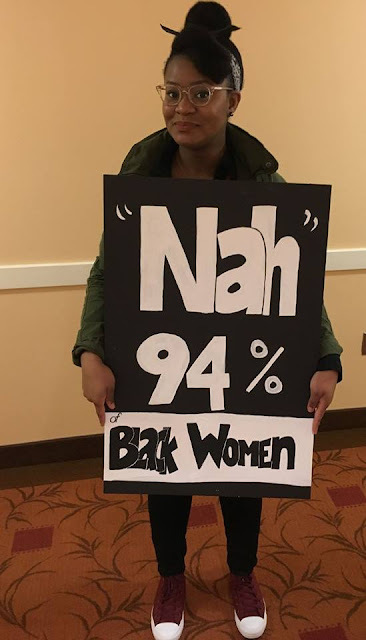 In the same way black women don't like being pegged as a monolith, I believe the same consideration must be given to others: I'm a stickler for data (you can go down the rabbit hole here), and when I saw so many of my peers throwing around the statistic "53% of white women voted for #45" without clarifying "53% of white women WHO SHOWED UP TO VOTE voted for #45" I believe it left people who didn't show up at all off the hook. Voter turnout was horrendous this election and indicative of a much larger sentiment of apathy at hand. 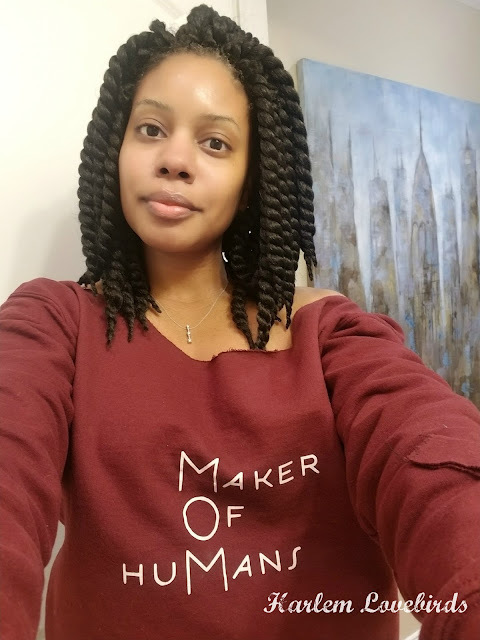 Hearing directly from white attendees who expressed that they didn't see themselves as part of that 53% and that they highly doubted that's who would show up for the Women's March, although I heard there were a few who did, helped me understand the nuances of the situation. And speaking of data, it still remains true that the majority of voters who showed up overwhelmingly didn't vote for #45. A nearly 3 million difference in the popular vote is unprecedented - the largest margin of a losing presidential candidate - and cannot be ignored. That's why the being visible on Saturday helped send a clear message: what is happening is not representative of the majority. 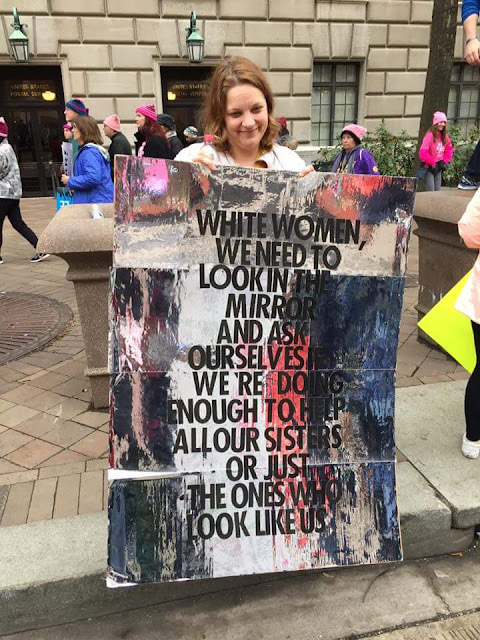 This leads into one of the common questions I've seen asked since the Women's March, "Now what?" 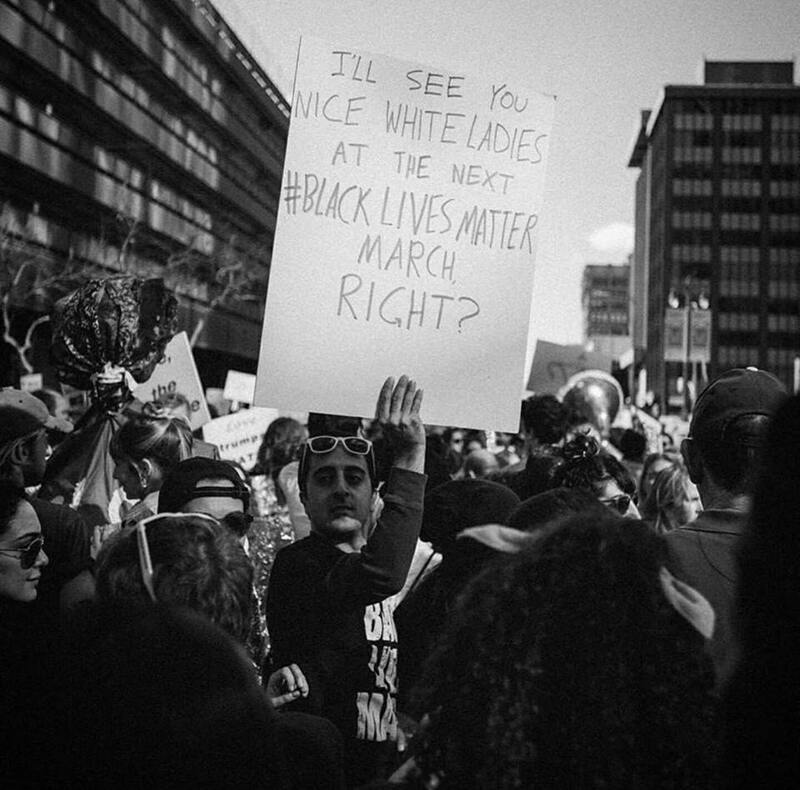 The march shouldn’t be a moment to rest and celebrate. It should be a warm up. And lastly, beware the self-congratulatory sentiment of the Women's March as a peaceful protest. 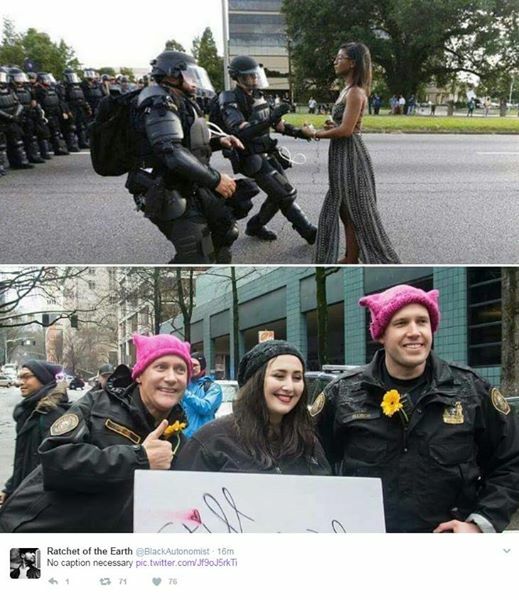 We cannot forget our nation's legacy when it comes to peace vs. violence while protesting, and this post expressed how many of us are fed up with the hypocrisy. And this Colorlines piece captured why many black women opted out of the March. "Margaret Meade once said that you should 'never doubt that a small group of thoughtful, committed citizens can change the world.' Despite my reservations I’m attending because I need to believe that she was right." P.S. Click here to see my recap video of the Boston Women's March.